Nokia is looking to sell its luxury subsidiary Vertu, maker of some of the most expensive phones in the world, but talks are still at a very early stage, a Financial Times report broke the news. Nokia has reportedly appointed Goldman Sachs to oversee the sale and other luxury handset makers are among the most obvious candidates. At the same time, Nokia continues to adjust its focus on Windows Phone and partly on Symbian smartphones and budget devices. Nokia doesn’t release any statistics about the actual sales of its UK subsidiary Vertu, so the company is yet to be valued. Initial estimates place it in the $268 million (200 million euro) to $402 million (300 million euro) range. While Nokia declined to comment, people in the know commented that the sale was not yet certain and reiterated the possibility of other luxury good makers to be interested as the deal opens plenty of cross selling opportunities with emerging markets showing interest in its products. Currently, the company is enjoying strong sales in Russia, Asia and the Middle East. 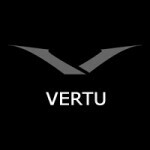 Interestingly, just a couple of months ago, Vertu man-in-charge Peter Oosting said the company was growing fast, with a “high double-digit sales growth” since 2010, selling around 30,000 phones a year. The average price of a Vertu handset stood at around $5,800. It has reportedly also increased staff by 50%. The Vertu Constellation is Vertu's first touchscreen luxury phone. This could be a very bad step. 'The average price of a Vertu handset stood at around $5,800.' At that price Nokia could make very unique/super_crazy devices, like windowsPhone and android dual boot. @above post, rich people with loads of money don't care about what OS their phone has and you're talking about dual booting, they want their phones to be made of gold or have sapphire keys.This is just like convincing an Arab that a iPhone or a high end Android is superior to a blackberry. s**t.. with that phone price.... i could buy 2 honda civic black, 2 seater cars.... and cuztomize them as race cars..... damn.... does that phone hace a diamond screen??? well vertu handsets come with diamonds on keypad in white gold body and all the other crazy stuff. now that what you call the luxury. The rich are getting richer, and the poor are getting poorer... but primarily in Russia, Asia, and the Middle East. Nokia is apparently getting so poor themselves that they cannot hold on to their Vertu unit. Maybe ZTE will buy it! You really have nothing better to do with your time than bash all things Nokia? Sad, really @hepresearch. Nowhere near as much as you criticize Nokia. I can understand if you were offering constructive criticism, but most of the time its not. I have watched Nokia give up the best of what I liked about them, over and over again. I understand that, these days, it is because OEM's are judged by their ability to make their products look like and act like an iPhone, regardless of what extras they might be able to offer... there just has not been an iPhone killer, ever, thus far. Every new OS that comes out just acts more and more like iOS without trying to look exactly like (case-in-point: WP7). Still, none of them have succeeded at matching the smoothness of iOS without sacrificing a more traditional UI appearance. It just bothers me that I cannot seem to find anything that does not act like an iPhone anymore... So yeah, I'm a bit sour about it. And I pretty much know that I'll end up with an iPhone sooner or later. True, Nokia has dropped the ball when it comes to certain things, but they are on a come back. And while I can admit that Windows Phone mimics the iPhone in many ways, it does it better than ios. The UI is much smoother, and social integration on the windows platform is nothing short of phenomenal. But Symbian Belle looks nothing like ios. If anything, it takes cues from android, although Symbian has always had more raw functionality than any of the other OS's. Still does. For all the hype surrounding the iPhone, it is still nothing more than a glorified app launcher. Symbian, Android and even Windows offers much more functionality than any ios device. I have to agree that Nokia is s*it. And I'm a former avid-customer.